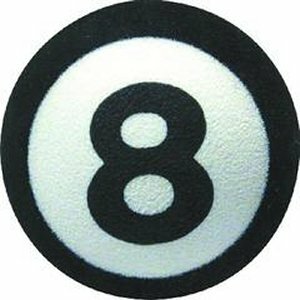 Push our Eight Ball onto your aerial making it easier to spot your car in the car park. Bought as a replacement for a really old, worn out 8 ball. Made the hole fit the aerial (took a minute) and fitted straight away. The missus can find the car in a car park again now!!! Prompt delivery and item as described. Very good communication. Does what it says on the tin. Very happy with the product but let down by Royal Mail postage (in this day and age it's not acceptable to have to drive miles to pick up your package). Really good items at great prices and fast reliable delivery,thank you !! Products are great, delivery prompt, choice of products excellent. Feel Xmas presents coming on. Well done guys, keep it up. Products and service was brilliant. Got a lucky number 8 for my l200 and some other Christmas bits for a laugh, all great quality and cheap.